Politico-JUDICIAL CORRUPTION of Australian labor. Jayant Patel 'groomed' as Scapegoat, to be denied a FAIR TRIAL, & found GUILTY. See this full article re labor XENOPHOBIA & Jayant Patel . The Australian PUBLIC SHOW TRIAL, in Queensland, Australia, of INDIAN born and trained doctor, but now US resident, Jayant Patel, is being orchestrated to generate 'kudos' for the corrupt labor party government, in Queensland and the corrupt Australian labor government in Canberra, Australia.. This relies upon the corruption of the Queensland legal/'justice' system, that labor has developed over a number of decades. We list and hyperlink the substantial players below. Current Femi-nazi Queensland Premier Anna 'Liar' Bligh has become so cocky that now, her thinking behind her public statements has nothing to do with honesty or the TRUTH, but only with what is the 'best spin'. Hence, when questioned about the committal of INDIAN born and trained doctor but now US resident, Jayant Patel, the immediate truth she felt she had to counter was the corrupt legal/justice system that has developed in Queensland, over the past few decades under labor. 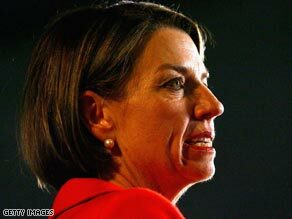 PHOTO: Current Femi-nazi Queensland Premier Anna 'LIAR' Bligh. .
We produce this article for our International readers/viewers/website visitors, especially in India and the US, but also for citizens of most countries who could face the same criminal 'adventure' by this criminal labor government of the state of Queensland, Australia, were they to come to Australia. THIS IS AN INTERNATIONAL SCANDAL. 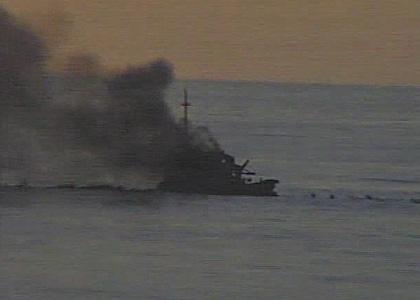 Also AN INTERNATIONAL SCANDAL is the manner that the Australian navy, acting on the instructions of the corrupt Rudd labor government in Canberra, caused the death of five foreign national ASYLUM SEEKING REFUGEES, in an explosion and fire on board the boat that was carrying 47 asylum seekers and two crew members near Ashmore Reef off North Western Australia. PHOTO: Urgent help... a naval rubber ducky goes to the aid of the asylum seekers off Ashmore Reef as people paddle nearby. Five are confirmed dead from the fire. [Edit: The Post Mortem shows that, for the three recovered, they died from drowning. ]Photo: Department of Defence. See this full article re labor XENOPHOBIA & Jayant Patel . As well, in this forum, we will include hyper links to the other examples of the CORRUPTION OF labor IN QUEENSLAND, Australia. Yes, we have been off-line for a short time while we travelled overseas. Now, RateAustralianJudges.com is OVERSEAS from Australia, oh yeh!!!!! : different jurisdictionSS. That means that any parasite now complaining about the content of our website [usually our making public the TRUTH ABOUT THEM] will find it more difficult. They may try to have courts in Australia, make 'take down' orders, but the server/webhost is not in their jurisdiction. There are many different jurisdictions overseas but still on the one internet. We can keep moving. Queensland Courts, Corrupt police & Public 'officials'.